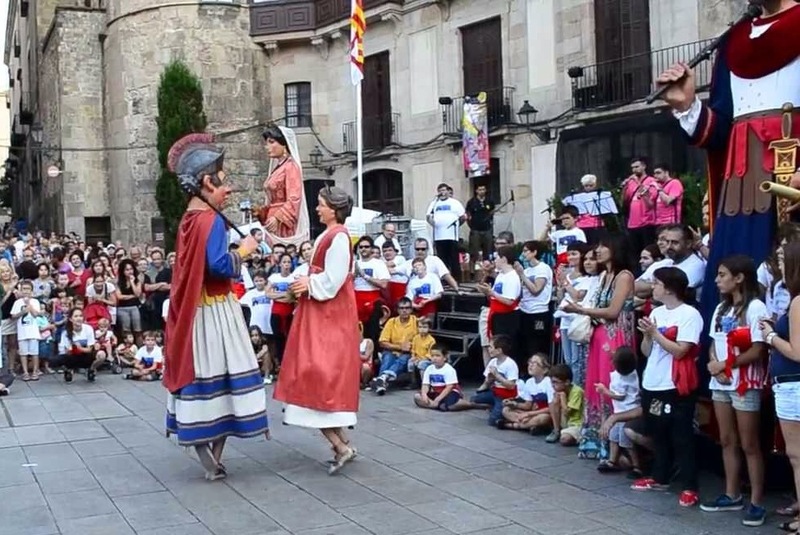 In 1906 the Association premiered a pair of giants: Roc and Laieta, the giants of Sant Roc de la Plaça Nova, of which exact replicas at a larger scale were made in 1992, Roc and Laia, the new giants of the Plaça Nova, to be able to better preserve the old giants, that currently are only taken out for the feasts of Sant Roc and of Santa Eulàlia. The youngest of the association, entrusted ALGO MAS VIRICO, INFECTED... ERRRR... to the fans of giant adult giant porters aimed to have a giant load it themselves in parades and was thus that he was passing the order to Manel Casserras builder who, from a tadpole Jansana Xavier already had the gang, built Pippo, released in 2007. Years pass however, and children grow ... and so did Pippo. In 2011 Pippo got higher easels, as to be carried by older children, but as to not let down the smaller children that still wanted to participate in the parades, the same year, and always within the Feast of Sant Roc de la Plaça Nova, presented the small giantess Gal·la, a Roman girl, smaller than Pippo, and which is currently carried by the youngest of the gang. Thus, with these two figures, the children's section is made up of children aged between five and twelve years, approximately, of different schools and neighborhoods and united by their caring for the giants. Whenever given the opportunity to participate in an event, even without the big giants, they accept it with delight, as they did to welcome the neighborhood feast of Sant Antoni in Barcelona, on January 14, accompanied by the grallers La Pessigolla, Pippo and Gal·la looked stunning because everybody's enthusiasm gave them the strength they needed.